Every student has a collection of books. Whether it to reference or to study, your bookshelves are always filled with topics that interest you! 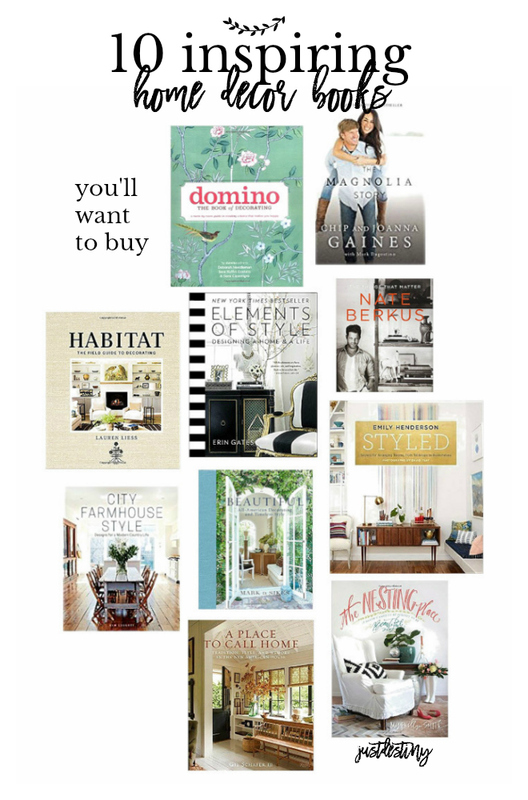 Here is a list of 10 inspiring home decor books that you’ll want to buy and add to your own personal collection. Some of them I own and some of them I want! Either way, no matter your style, I think you’ll love this list to get you started! Domino– The Book of Decorating This is known as the ultimate coffee table book because not only does it have a beautiful cover, inside you will find the same beauty in the photographs. Domino, as most of you know was a former home decor magazine that was loved by thousands of people! If you’re a beginner decorator then you will find this book very helpful as it guides through your purchases and style decisions. It also helps you narrow down your own design aesthetic and covers just about every aspect of home decorating. The Magnolia Story– If you love decorating even just a little bit then you have seen or heard about Chip and Joanna Gains. Over the last 4 years or so they have taken the home decor niche by storm with their very approachable, comfortable, on the farm style. She’s obsessed with shiplap and Chip, well he’s hilarious. This book is more about their journey than it is about their style, but either way you will enjoy learning about them, their family and their faith! Nate Berkus I feel like I had to put this one on the list haha! Did you guys know I was on the Nate Berkus show? Oh yes I was. But like most of you, we knew him as the cute decorator on the Oprah show who had the BEST makeovers ever. His style has evolved into something I incorporated into my home till this day. It’s earthy, approachable and well thought out. His book The Things That Matter challenges us to really think about the items we put in our home. Don’t just decorate to decorate. Love each item that touches your wall, lays on your floor and sits on your shelf. Let it tell a story! Elements of Style Erin Gates is an interior designer and popular blogger who shares her practical design advice in a gorgeous coffee table worthy book. Her story is relatable to so many who move from the city to the suburbs and is trying to figure out their new life. 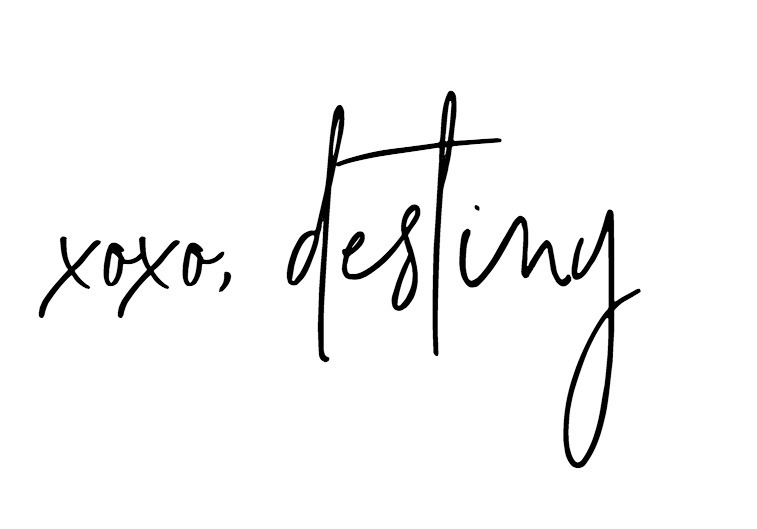 She challenges her readers to be honest about their lifestyles because that can really determine your overall style! Erin’s style can be describes as some what tailored and at the same time eclectic, but magically wonderful because she mixes and matches items so well and always gives us something we aren’t expecting! You will love the photography in this book for sure! Habitat Laura is an up and coming HGTV star that has come to give us a break from Fixer Upper. Yep, I’m calling it now! I love her style. She’s also very intentional about her approach to design and if you love nature, then you will also love her. Tons of texture, mixed with a bit of vintage makes her aesthetic pleasing to the eye and very familiar. The book is broken up into 3 sections that breakdown the elements of decorating and make it digestible. Check out her new show on HGTV Best House on the Block. Emily Henderson SYTLED– Emily Henderson is another favorite design of mine that I fell in love with during Design Star! Her book STYLED, has plenty of inspiring photos of interiors ( boho and mid-century style) with explanations of how she did it. City Farmhouse Style – this book is due to come out on September 12th! and I can’t wait to see it. Although I wouldn’t call my style farmhouse I love taking some elements of the farmhouse style and using it in my own home! Farmhouse style is the number one sought out decorating style right now because it relates with so many people. Even from people who find themselves in a high rise in downtown Chicago. Beautiful – All-American Decorating and Timeless Style I don’t own this book,but I wish I did. When I was planning my backyard I came across this designer and immediately looked him up. Like the title says, Mark truly has a timeless style that I’m very drawn too. Its one of the books that I would love to study and look at all the elements that make his rooms so right. Texture, finishes, and the way he incorporates indoor and outdoor spaces is inspiring! Timeless Neutrals,Garden Greens, Beautiful Brights, and Sun Faded Hues are just some of his signature design elements. A Place for Call Home This is another much anticipated book coming about September 27th! Here is what you can expect from this new book by author Gil Schafer, “Taking readers on a detailed tour of seven beautifully realized houses in a range of styles located around the country—each in a unique place, and each with a character all its own. 250 lush, full color photographs of these seven houses and other never-before-seen projects, including exterior, interior, and landscape details, invite readers into Schafer’s world of comfortable classicism.” -Amazon I’m excited!! If it’s anything like his last book, then we wont be disappointed! The Nesting Place – this is another book that sits on my shelf at home. Anytime I need to be inspired I pick it and flip through it. The Nesting Place is a book written by one of the first bloggers I started following, The Nester. Myquillyn Smith is exceptionally gifted at making a house a home by being creative and thoughtful about her choices. She is a neutral lover but her style is soft and cozy and color is invited in shades of blue and greens. She makes in known that a perfect house isn’t her goal. Instead she loves the realities of messes, kids,pets and makes the process enjoyable! There are so many other books but like I said this is a great start! What are your favorite books when it comes to decorating? There’s nothing like flipping though pages of gorgeous images to inspire you to create, make and design!